Three months down the road on my Wheels to Wisdom quest, it’s time to take stock of the road to here. How could I have known when I set out on August 4th after preparing for months, that I’d only be on the road for just over three weeks, little of it new to me, before hitting a detour around a lengthy stretch of construction? As multiple land-speed record holder Laura Klock loves to point out, the blessings are in the detours. She knows. Laura’s been down many roads and many detours, some of them VERY quickly. Two months into my detour, these five insights have taken on extra meaning. Strength of community. To say that my heart is full of gratitude towards the incredible people that surround me, who have liberally directed positive, healing energy my way is an understatement. That applies to everyone reading these words. Last week I saw my shoulder surgeon in Toronto, the first visit since I was seen 1½ weeks post-op in Calgary. Since 6-8 weeks is a pivotal marker for bone healing and mine was by all accounts a very complex fracture, I approached this appointment with some trepidation. I’d been told the risks and the probabilities. The surgeon, who’s at the top of his field in shoulder trauma, read the X-ray and confirmed what I intuitively felt—that the healing of my humerus (upper arm bone) was remarkable and it was time to ramp up my physio. I KNOW that your prayers, emails, phone calls, and visits played a huge role in this. Thank you. Wheels to Wisdom priorities. I love that you know me so well that you ask when not if I’ll resume my journey. The truth is, this detour is part of that same journey, so I’m still on it. As an aside, it’s never occurred to me that I wouldn’t ride again. But then you knew that. Realistically, I still don’t know when I’ll get back on the physical road. There’s still a minimum of 10 months until I reach maximum recovery—whatever that is for me—although I expect to be riding (with Dr.’s blessing and amusement) by spring. The ultimate goal of the Wheels to Wisdom quest, is to better understand and apply indigenous wisdom, how our cultures have shaped us, and how we restore harmony and balance for ourselves, our communities and our earth. Doing it entirely by motorcycle has always been a secondary priority. There are many variations on how that can be done. As things progress, I’ll know which one is right for me. Importance of caring for self. I’ve had lots of time to think about the importance of being in optimal physical, emotional, and mental shape so I can be of greatest service. Being sidelined by an unexpected injury dramatically illustrates this, but the reality is, taking care of our bodies, no matter what shape they’re in, must be part of our daily practice for us to be of most value to ourselves and others. That includes a healthy diet, adequate rest, physical activity, social interaction, and daily time to connect with Spirit. Old habits die hard. Even before my accident, after only three weeks on the road, I knew I’d have to adjust my schedule if I was going to accomplish what I’d set out to do. I’d divested a lot, but I was still carrying too much, and I’m not talking about the load on my bike. Intentionally cutting back on work responsibilities and a detailed travel plan so I could be open to what the Road delivered, I’d only fooled myself. I hadn’t appreciated how much time the object of my quest would take. To be fair, I hadn’t even settled into the rhythm of the road, so it’s likely I would have adjusted my “load” in any event. But there’s nothing like enforced downtime to challenge one’s thinking and perspectives. Injuries are painful. They hurt physically, emotionally, financially, and spiritually. Healing the body takes longer at 60 than it does at 50, or 40. As much as I intend to get full function back, looking at the world through the eyes of pain distorts one’s outlook and invites all sorts of unhealthy mental chatter. Fortunately, I go back to #1 above —the strength of community—and the tremendous role models who have recovered from far greater trauma than what I’m experiencing. My little bump on the road doesn’t even get on the scale. That realigns things! And although I don’t recommend it, a second shoulder fracture is easier to bear because you’ve got something to calibrate against. My recovery from breaking the other shoulder during an off-road training course six years ago was very different. That was a dark time because I couldn’t accept that it had happened to me, the degree of my limitations, or what seemed like a snail’s paced recovery. Now I know these things don’t resolve overnight, but they will get better. I’ve noted progress right from the start and have avoided the denial and frustration that haunted me the first time. At least most of it. 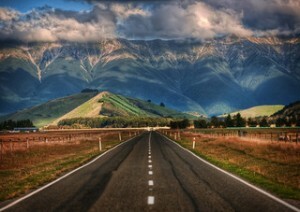 Any life carries risks and unexpected detours on the road to here, wherever you are. One’s lifestyle determines the nature of those risks and potential outcomes when the unexpected happens. The most important lesson for anyone is to not succumb to defeat when life throws us a curve. It gets dark for a while, but the sun always rises at dawn. There no like buttons, so here’s a LIKE. This article shows good insight for a young 60 yr. old. Glad you are progressing well. Are you going to rehab at home during the cold months, or see a therapist? Yes, I’m going to physiotherapy – and it’s only a 6 minute walk from where I live now. Plus vigorous exercises 3X daily. You are well, and I know this in my heart. Your words today were very thought provoking for me, well, as they always are. Your messages cleared up some aspects of my own journey forward, and thus, the need for community and sharing. As you mentioned, and as I see in my own life, it is when we reach out and open our hearts and minds to the words of other’s that our path becomes more clear. It is also through the suffering of those before us that we can understand our own. You’ve given me good food for thought. “When we reach out and open our hearts and minds to the words of other’s that our path becomes more clear.” Thank you Carol. Laura – You’re a tremendous inspiration to me, and MANY others. I think of your words and wisdom often – they’re what I focus my eyes on to get through the detour. That way I get to see the blessings, even if they are in the rear-view mirror. Thank you!